Kula 200 Special that has it all! Experience seamless tropical living in your 4 Bdrm/3 bath ultimate Maui lifestyle home located on 2 gated and meticulously manicured acres in one of the most desirable neighborhoods in Upcountry Maui. Close to Seabury Hall, Waldorf and Carden Schools. Multiple outbuildings offer incredible flexibility and imaginative possibilities for workout rooms, hobbies, man/woman caves and more. Open concept living, large covered lanai, huge outdoor deck, four fountains, built-in BBQ, top of the line finishes, new Fleetwood sliders, solid mahogany doors, exotic hardwood cabinetry and floors, handmade tile mosaics. ChefÃ¢Â€Â™s kitchen with stainless steel appliances, dining area, island with seating, two lofts with plenty of space for dedicated media room, yoga, childrenÃ¢Â€Â™s play area, office and more. High tech elements include sound system, video gate intercom, Kohler VIBR soaker tub that will sweep you away. Regulation tennis court, sand volleyball court, half basketball court, Futsal soccer field and huge playground complete with tree house, slack line, surf swing and trampoline offer endless fun for children of all ages. 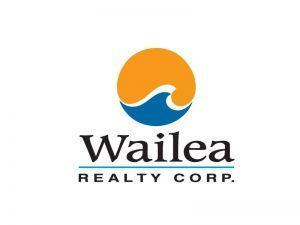 I am interested in 69 Aulii Dr, Makawao, HI 96768 (Listing ID # 380855).